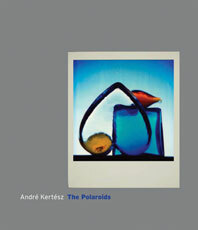 André Kertész - Description | W. W. Norton & Company Ltd.
A powerful collection of the luminous last work by one of the true giants of twentieth-century photography. Here Kertész dips into his reserves one last time, tapping new people, ideas, and tools to generate a whole new body of work through which he transforms from a broken man into a youthful artist. Taken in his apartment just north of New York City’s Washington Square, many of these photographs were shot either from his window or in the windowsill. We see a fertile mind at work, combining personal objects into striking still lifes set against cityscape backgrounds, reflected and transformed in glass surfaces. Almost entirely unpublished work, these photographs are a testament to the genius of the photographer’s eye as manifested in the simple Polaroid. This classic—both playful and poetic—is reissued with striking new duotone reproductions.